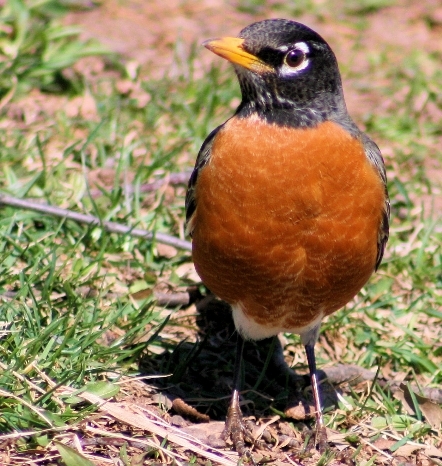 The robin is always a welcome sight in the springtime, a common and abundant migrator who arrives in the north to cue the beginning of the real spring thaw. Robins are about abundance, new projects, earth power, and root chakra grounding and aligning with the heart. The oval shape of the robin’s body communicates the power of the great cosmic egg. Abundance and fertility are implied in the path of the robin. As the robin is the quintessential “mama bird”, this totem is a potent symbol of maternity, nurturing, and all of the safety, love and abundance that mothers bring. The blue egg of the robin aligns the throat chakra center with the heart and new openings in life. Just as their arrival signals the arrival of the new spring growing season, look around you to see if there are new projects brewing in your heart, ready to spring forward and be born! 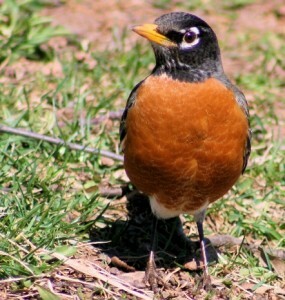 The earth power of the robin is rooted in their relationship with the ground as they pick and poke and search for bugs, grubs, and worms as sustenance. They scamper and hop as much as they fly, showing their earthbound ways and their great skill in tapping the earth for savory and sundry resources. Finally, the robin re-affirms our root with the red color of its breast, syncing through color the heart and the root. A deeply grounding red breast keeps us grounded, root to heart, in the knowing that spring is here, abundance and new life are present, and the heart must sing the song of root healing in order to grow the new life of spring in our individual lives and hearts.